All around temporary factotum, willing to perform a variety of tasks, e.g wiping grime off sweaty, stinky feet or giving motivational speeches at 3 a.m. to an audience of one. Must be in excellent physical shape and able to stay awake for 30-plus hours on a diet of cold coffee and pretzel sticks. Experience working with stubborn creatures, like mules or donkeys. Cheerleading background. Should be proficient in sport psychology, reverse psychology, guilt tripping, and the accurate translation of grunting sounds into standard English. Mildly sadistic inclinations preferred. Telepathic talent is a plus. Ability to tell straight-faced lies is essential. Deciphering cryptic directions, both on foot and while driving down bumpy dirt roads. Dragging folding chairs and heavy duffel bags for long distances. Popping blood-filled blisters without gagging. Treating twisted ankles and punctured knees with no medical supplies other than duct tape. 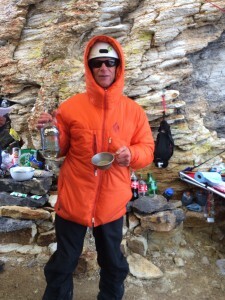 A night or two of free lodging, usually on the floor of a cramped hotel room or on a folding chair at an aid station in the middle of nowhere. A couple of sweaty, smelly hugs, and maybe a cheap T-shirt with the race logo. Vague promises to repay the favor someday. 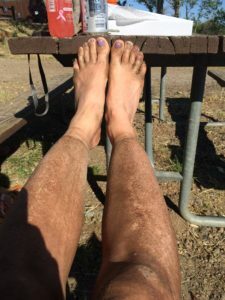 Because running an ultra is not the only way to experience ultra running. Maybe you still find the thought of a 50 or 100-mile race intimidating. You’d like to sign up, but as your fingers hover over the registration button, dire warnings you’ve heard from friends and family members echo in your ears and make you hesitate. You recall all the conflicting information about whether running 100 miles is a healthy thing to do, or a particularly painful and slow form of suicide. You feel unsure whether to categorize ultra runners among normal, sane people or lunatic fringe groups. So don’t believe what others tell you. Do your own research . Be there for someone doing it. See what it’s like. Watch your runner hallucinate, throw up, regress to early childhood in speech patterns and food preferences. It will help you make an informed decision. Allen and I at mile 60 of the 2012 Leadville 100. Because getting into your dream race is not the only way to experience your dream race. 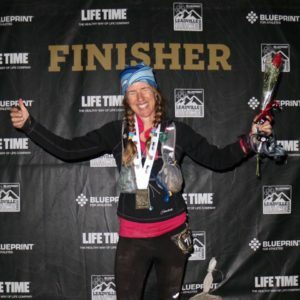 Maybe you are itching to run Western States or Hardrock someday. Maybe your name did not get drawn in the lottery for the fifth year in a row. 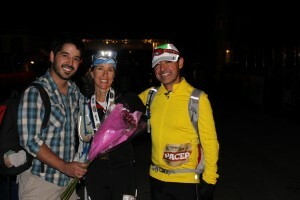 Maybe real life derailed your efforts of training for your first 100-miler. Instead of pouting or threatening with lawsuits, do something much more constructive. The next best thing to running your dream race is to crew or pace someone running your dream race. You’ll get to know the course, and you’ll observe from up close what it does to the individuals who did get picked. Chances are this will make you feel better about your lack of lottery luck. Because it feels good to give back. If you’ve ever finished a race of any distance, you had some some help along the way. The longer the race, the more help runners require to reach the finish line. It’s a simple equation, with the likely result of you owing a favor or two to the trail running community. The opportunities to get involved are endless. 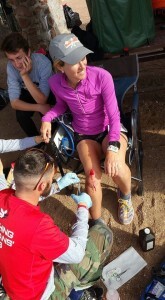 For example, “crew” is the official title of someone who helps a runner reach the finish line my meeting her at aid stations along the course. Sometimes, a crew member becomes a “pacer” in the second half of an ultra, i.e someone who runs (or more likely shuffles, or even walks) alongside the runner, usually after mile 50, when it’s too dark to enjoy the views. “Volunteer” describes a saint-like human who helps all the runners in a race reach the finish line, not just one. “Volunteer” does not mean you do anything voluntarily — others may guilt-trip, coerce, bully, or manipulate you into sacrificing your weekend, which is, come to think of it, just as often true for crewing and pacing. Do it anyway. You’ll be glad you did, and you’ll appreciate your future crew members, pacers, and aid station angels much more than you would otherwise. Yes, it’s a dirty job. Because you get to be someone’s hero for a day. Pacing and crewing requires creative problem solving, sometimes in unorthodox ways. 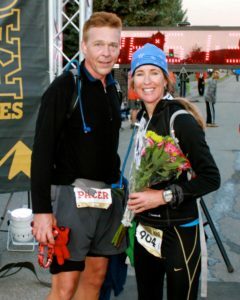 You don’t have to go as far as my friend and mentor Allen Wrinkle, who once determined that the fading runner he was pacing needed real food instead of more gels at mile 90. Like a modern-day Robin Hood in running shoes, he proceeded to wrestle a bucket of fried chicken from a little boy who was camping near the Kodiak 100 course with his family and about to enjoy his lunch. I don’t know if the little boy ever recovered from the trauma, but Allen’s friend devoured the chicken, finished strong and felt immensely grateful. In return, he felt like a knight in shining armor. Good pacers are boot camp coaches, spiritual guides, nutritionists, stand-up comedians, even singers of commercial jingles, depending on the physical and mental state of their runner. Pacing and crewing will get you out of your comfort zone. Pace someone and be all you can be! Because helping someone reach a momentous goal is a bonding experience. Running ultras pushes us to the limits of our physical and mental endurance, often beyond them. Running ultras strips us raw. Getting to know someone at their most vulnerable emotional state means getting to know them without pretense, without filters, without the ordinary limitations of many more conventional social contexts. That’s why so many lasting friendships grow out of trail races. And really, that’s why it’s not enough to run ultras. 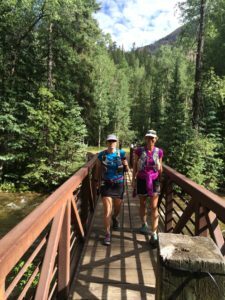 Sharing the highs and lows of the trail with others by crewing, pacing, or volunteering is part of what makes our community come alive. Yes, a race is a competition. But more than that, a race is an opportunity to connect. Leadville 2016. No, I did not get here alone. This entry was posted in Uncategorized on December 11, 2016 by silvakat. Thanks for this well-written post!!! Thanks, Tammy! Please don’t stop running. You are so welcome. Thank you for reading, and for taking the time to comment. Excellent, Katrin! Some of the greatest conversations occur between midnight and sunrise. It’s a privilege to keep someone company out there in the wee hours. You’ve described it all so well. Thank you, Randi. Yes, I’ll never forget some of these deep connections forged on some dark, cold mountainside in the darkest hour before dawn. Lasting memories, lasting friendships. Love to volunteer, I had crew few times at badwater I also know CPR and was certified EMT. I said was becouse every 2 years you have to test and I had not taken that test to renew my certification.